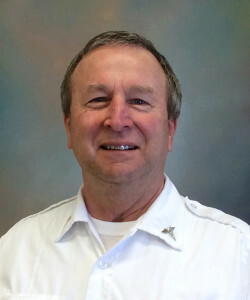 Gold Cross, the paramedic service of Mayo Clinic in Rochester, Minnesota, is proud to nominate Roger Swor, Paramedic, as a 2016 Star of Life. Throughout his career, Roger has been one to lead by example by providing the best care to every single patient. Roger joined Gold Cross in 1977 and is known as someone who takes the initiative to ensure the needs of his patients come first. Nearly three years ago, Roger organized a skills review session for himself and his fellow paramedics at the Duluth base to assure that caregivers were proficient in providing the best possible care to patients. The session he developed and has personally led several times for fellow Gold Cross paramedics supports the company’s annual skills testing, which is required of all patient care team members. This skills review session ensures patients are receiving the care they expect and deserve, as well as a way to foster trust with the patient and amongst fellow caregivers.